Over the past 5 years or so China has quickly become one of the worlds most high-growth countries in the world. In terms of GDP and financial stability, they’re trumping almost every other country on Earth. And with a population of 1.3 BILLION (roughly 4.3x the size of the United States), hundreds of millions of new prospects, new partners and new opportunities are coming online on a daily basis. What’s to stop them from ripping you off? Before I made the decision to enter the Chinese market, I had these same doubts. In fact my previous dealing with Asians in North America led me to think of them as over-analytical, full of excuses and constantly backing out of deals at the last moment. So you can imagine my hesitation. Throughout my career I’ve made millions of dollars by pushing past my initial fears and worries and plunging in anyway, even though I had no idea what the outcome would be. So after months of thinking about it… I decided to jump in and test the waters. Having been in the market for roughly 3 months now, I’m KICKING MYSELF for having not done it sooner! The endless opportunities in this country are simply mind-blowing. My initial preconceptions of them were absolutely dead-wrong. Instead I’ve discovered that these folks are hard-working, (still very analytical), dedicated and extremely passionate and willing to do whatever it takes to pull themselves out of the train wreck the country has been living in the past few decades. I’ve discovered that China, for me, is as close to a license to print money as you can get. I’ve learned dozens of important lessons in my dealing with China. Below are the top five I think can benefit you the most. The Chinese want to know about the person they’re dealing with. They want to know you are trustworthy. That’s why it’s crucial to establish your brand immediately, including who you are, why they should trust you and how you can help them. The more credible your brand is, the more respect you will be given. In most parts of the world, being humble is respected more than bragging. However in China it’s the exact opposite. So talk yourself up and tell them who you know, what you own and what successes you’ve had. 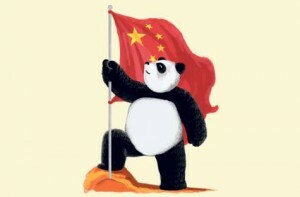 The Chinese love to negotiate, so start high and drop down. To them, getting a good deal is almost as satisfying as the product or service itself. Don’t be afraid to get a little dirty. Just take a little time beforehand to understand their culture, so you don’t offend them. They’ll walk away at the drop of a hat if you do. Everything you do should be in writing, clearly spelled out. I recommend the “trust but verify” rule. For some reason, I’ve found that they tend to want to change the terms of an agreement at the last minute. I believe this is part of their negotiation tactics. This is one of the more unusual tips, but it’s very important. For some reason, they love to have meetings late at night while getting a foot massage. If you currently have some kind of foot phobia, I suggest getting over it. I’ve literally finalized deals while getting a foot massage at 1 a.m. (multiple times), so trust me on the importance of this. Looking back, one of the biggest mistakes of my career is not jumping into this market sooner. I have businesses all over the world and in China I am growing my business roughly 5x faster then all my other markets combined. That’s how amazing this country is. If you’re looking for a new growth strategy this year, make it a China growth strategy. As with any new strategy, there are negatives (after all it’s not easy moving into a new market), but the reward is WELL worth the effort. I promise you, it will prove to be one of the most financially smart decisions you’ve made in the past decade.